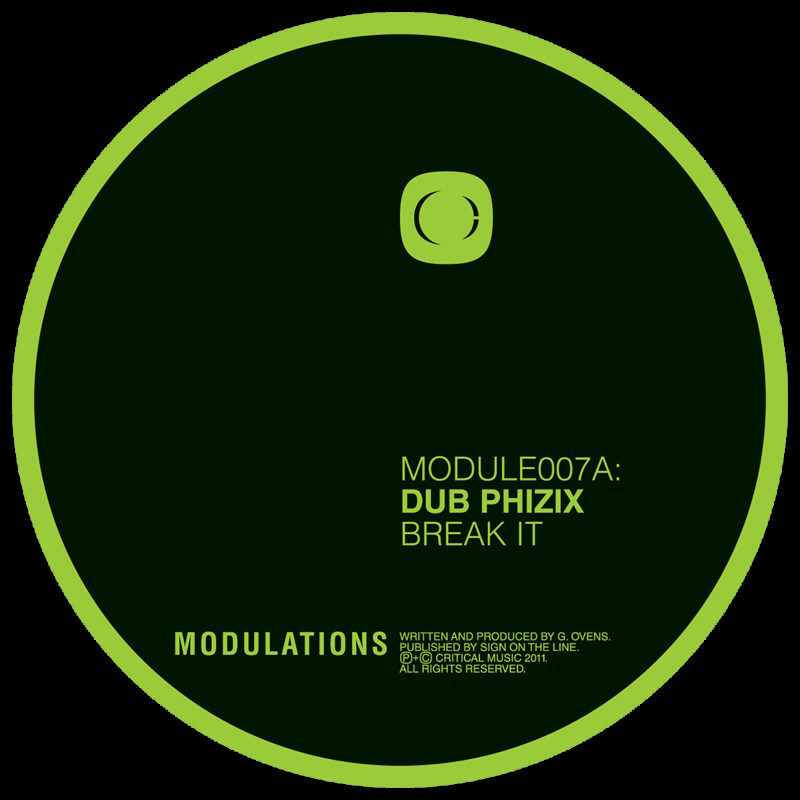 Keeping things as fresh as ever, Kasra’s Modulations imprint picks up some more rocksteady beats from someone on the tip of everyone’s tongues at the moment, Dub Phizix. With other releases already on Soul:R, Fabio’s Creative Source, Ingredients and more this is one Manchester export that we’ll be hearing a lot more of in then future. ‘Break It’ kicks off with a simple intro with only a teasing glimpse of the bass that’s about to drop but when it does you’d best be ready! A stepper’s paradise then as the staccato break rolls on with deep sub and the gurgling mid-range that serve the ‘break it’ vocal perfectly. A very polished production indeed. ‘Four’ is all pitched down warning sirens and sinister pads from the off, creating an uneasy atmosphere for the crystal clear beats to bump into and move out across another slab of delicate but dangerous D&B for the deeper heads on the floor. Fans of old Krust records are gonna love this! DJ support from D Bridge, Spectrasoul, Kasra, Marcus Intalex, Jubei and more.